GreenSeasons designs, installs and cares for the beautiful landscapes you admire so much. When choosing a landscaping contractor, you want a landscaper that you can trust and depend on. GreenSeasons has built its reputation on quality work, trust and dependability. We have been building and maintaining beautiful landscapes and gardens in Louisiana for years. Our experience and training gives us the confidence to guarantee what we can do for you. Our landscaping, irrigation and lawn care are consistently among the highest rated in Louisiana. GreenSeasons provides landscaping and pest control to greater Baton Rouge, greater New Orleans, Covington, Metairie, Mandeville, Slidell, Denham Springs, Hammond, Prairieville, Gonzales, Zachary, Baker, Walker and throughout south Louisiana. GreenSeasons Guarantee - If you are not completely satisfied with the service we have provided you, call us and we will come out free of charge and correct the issue. If we are unable to correct the issue and you are still not satisfied, then we will refund you 100% of your money, guaranteed! 12 Months same as Cash Financing available. Get the landscaping you've been wanting started today. GreenSeasons can design, build and install your outdoor living area. Our representative will assist you in making your concept into the reality of your perfect yard. We can show you what your yard will look like before we ever dig the first hole. GreenSeasons installs landscape beds, trees, shrubs, fountains, sprinkler irrigation systems, decks, patios, fences, drainage, outdoor kitchens, statues, outdoor lighting, and flowers. 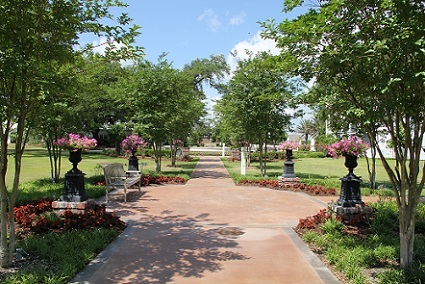 GreenSeasons provides the best landscape maintenance in the state of Louisiana. We provide professional lawn care that looks great at a reasonable price. Our services include mowing, edging, leaf removal, weed treatment, lawn fertilization, pruning, tree trimming, tree removal, aeration, top dressing and storm clean up. We provide service to the Greater Baton Rouge, New Orleans, Slidell, Covington, Hammond, and Biloxi areas. GreenSeasons has installed thousands of irrigation systems in environments ranging from homes to baseball fields. 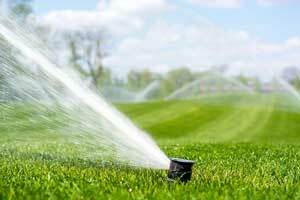 The trained technicians at GreenSeasons are taught the current techniques for correct water coverage and water conservation. Smart irrigation controllers allow you to access them anywhere and they use predictive weather forecast to decide when to water your lawn and landscape.